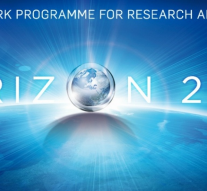 On 2017, the European Commission adopted the 2018-2020 Work Programme for supporting R&I activities under the funding scheme HORIZON 2020 over the next three years. Below we indicate the opportunities offered by the call for proposals “Building a low-carbon, climate resilient future: secure, clean and efficient energy” (H2020-LC-SC3-2018-2019-2020), launched under the pillar Societal Challenges, priority Safe, clean energy, Efficient. This focus area supports the concrete R&I actions focusing on the accelerated transformation of the energy system, and other sectors, towards carbon neutrality and climate resilience. The deadline for the abovementioned calls for proposals is 3 September 2019. « Previous Article What's left for Europe?